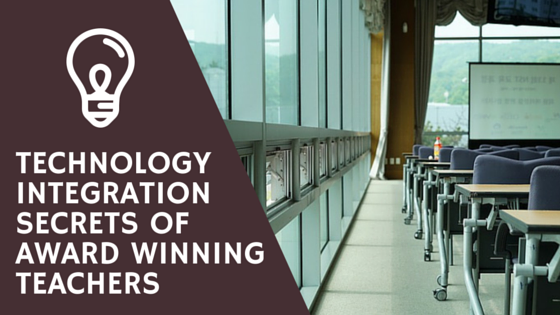 Bring technology to the classroom and win awards! We all know that technology is supposed to advance civilization further, which is why Star Trek movies don’t show classes with teachers using a blackboard and chalk. If you can bring technology into the classroom and use it for legitimately efficient and valid reasons then the academic and electronics world are going to be impressed. Let’s not forget that children are brought up by TV, and where 20 years ago a child was introduced to computing in his or her teens--they are now introduced to it as toddlers. Newer generations are going to require newer technology if we are even to rouse their attention. There are some teachers out there who are integrating technology into classrooms and are doing well with it. Below are three teachers who have done just that, and have resumes full of honors and awards because of their innovative teaching. A Classroom Performance System was used by Juanita Rodriguez and she says that it helped to increase FCAT scores. She said it was a great way to find out when a student understood a concept and she claims it helped to keep her students engaged in the content of the class. There have been gains going from 80% to 97% thanks to CPS technology. Juanita advises the use of CPS clickers as well as other integrated technologies that allow teachers to walk around a classroom whilst working interactively with students. Benjamin J Higgins is a technology integrator who was the 2010 IST award winner. He brought video conferencing into his classroom, the use of cloud, software science tools, and Internet safety protocols. You could write a short essay on the number of technology integration related achievements he has done. He is now working on “Speak truth to Power video contest” along with the American Federation of teachers. One of Benjamin’s tips is to simply give it a go instead planning and procrastinating. He has tried and succeeded at integrating different technology into the classroom by taking a class by the hand and doing it. Testing such technology with one class alone is far better than trying it out with the whole school. An educator called Dallas McPheeters has introduced a new computer technology to K-5 students within a four week Summer Technology Camp that is built for students with a low socioeconomic status that live near the US and Mexican border. He secured funds to build a computer lab with thirteen new iMacs--which is not much but it is better than a kick in the pants. It has allowed the students to try out a few multimedia functions such as creating and editing movies and creating photo albums. His work helped to make the students a little more confident with technology. On his website, he gives the inspirational advice as to students being herded, nurtured or driven to market, suggesting that the way a teacher teaches has an impact.